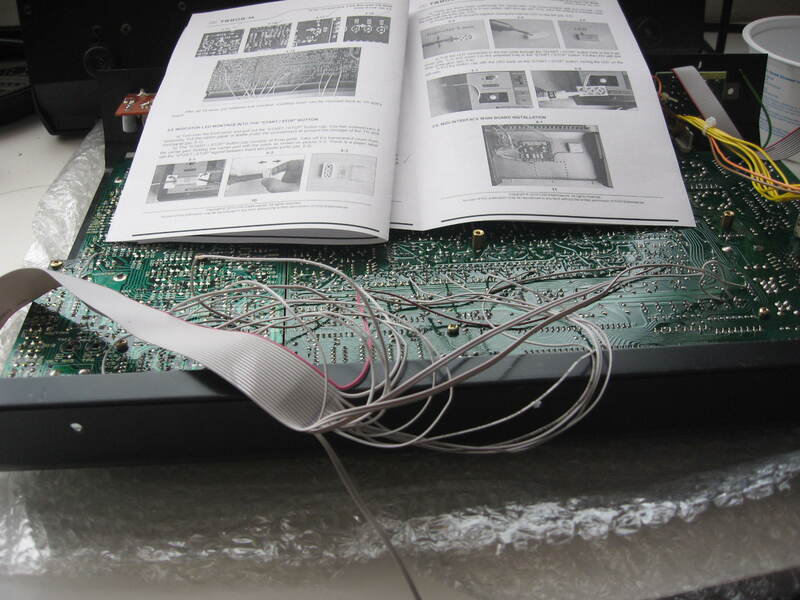 When writing about the MTG TurboCPU upgrade I promised to put a blog entry up for a really nice and non-intrusive MIDI mod for the Roland TR-808, and here it is. The thing I really like about this implementation is the degree to which they went to make in non-intrusive (i.e. drilling holes!). 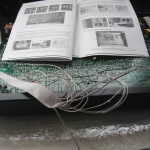 It comes complete with a printed manual of step-by-step instructions, and supporting CD. 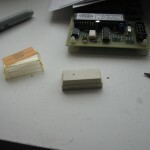 For the MIDI connector the existing Din-Sync connector is removed, along with its In/Out switch. 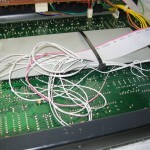 A new connector that includes MIDI In/Out is fitted (a special adapter cable is supplied. 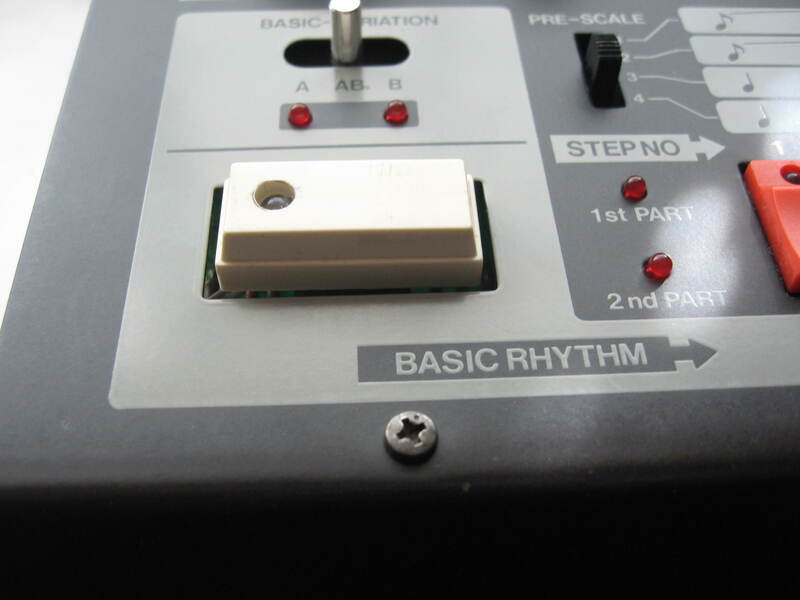 The switch is replaced by a 3 way one, In/MIDI/Out. 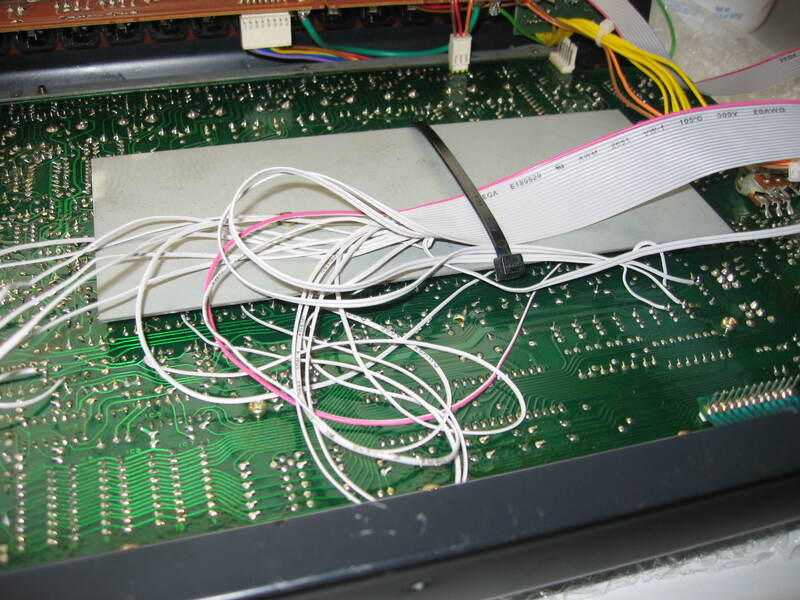 The “umbilical cord” for triggers and power is socketed at the controller end, so for service it can be unplugged and the TR-808 will still work (so this is not a CPU upgrade/replacement like TurboCPU). 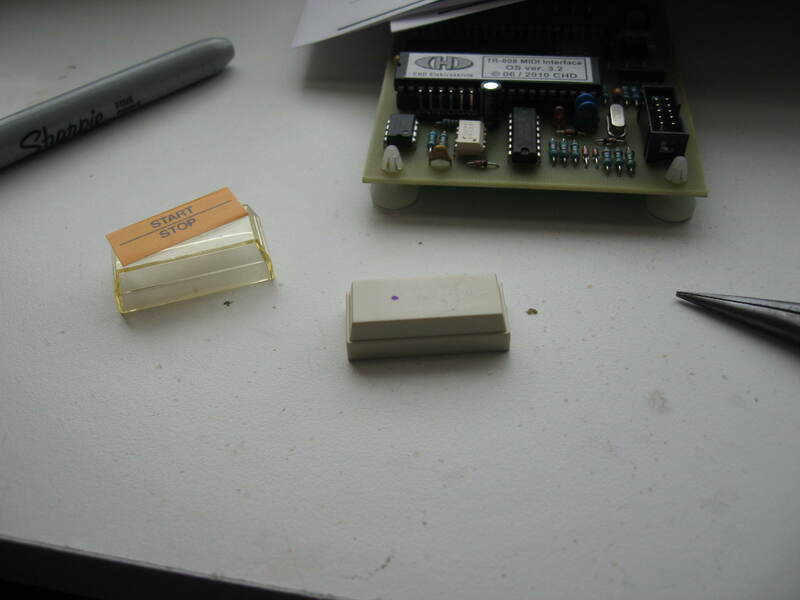 Only one hole needs to be drilled, and it is for a MIDI active Led and sits in the Start/Stop switch, under the yellow label. Awkwardness here is that they specify a metric drill, and for accuracy a woodworking one is probably best. I’m sure you could get by with a slightly larger US drill and use a band of shrink-wrap tubing or some-such to tighten the fit. 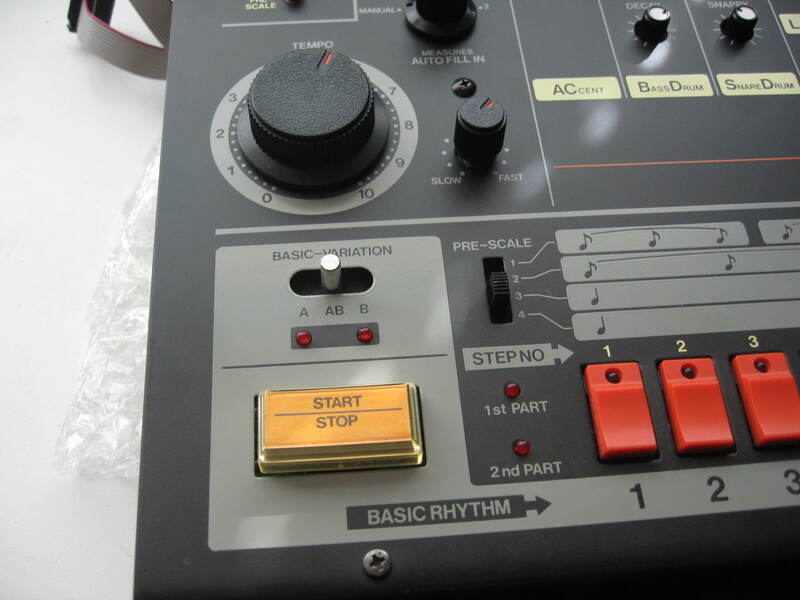 Of course you could ignore this step and just know that center switch is MIDI on! 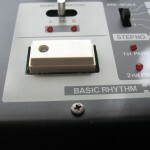 Be sure to keep the parts removed such that the TR-808 can be put back to standard if need be. 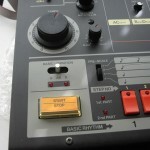 Here is a link to the CHD TR-808 MIDI kit. I may well contact CHD and offer to distribute this in the USA.